A Modern Mephistopheles was written by Louisa May Alcott and published anonymously in 1877, when she was 25 years old, perhaps so she could explore a "darker side" without tainting her reputations. It was published under her name in 1889, along with her similarly dark story, A Whisper in the Dark . A mephistopheles is a demon from German folklore. 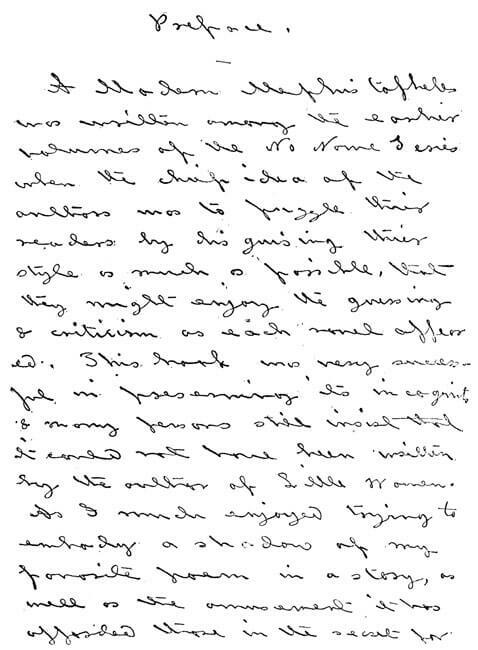 A journal entry from February, 1877 explained what inspired her to write it: "It has been simmering ever since I read Faust last year." 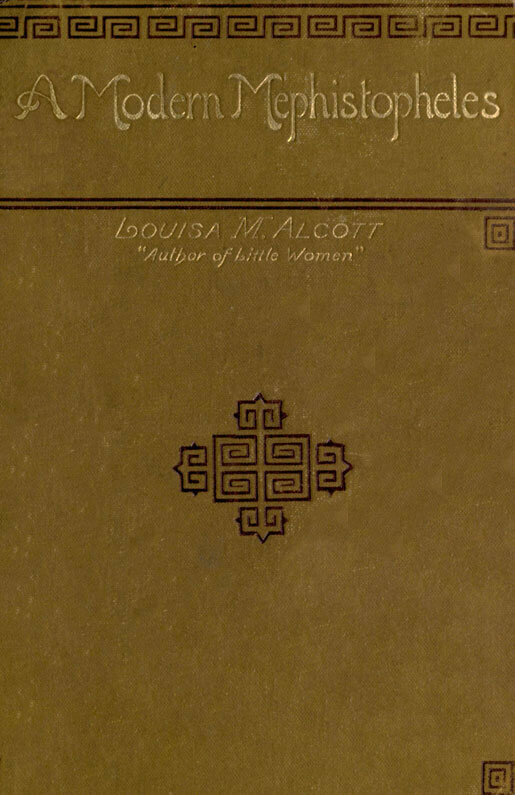 You might enjoy getting more insights about her writing and life, in Louisa May Alcott: Her Life, Letters, and Journals. "A Modern Mephistopheles" was written among the earlier volumes of the No Name Series, when the chief idea of the authors was to puzzle their readers by disguising their style as much as possible, that they might enjoy the guessing and criticism as each novel appeared. This book was very successful in preserving its incognito; and many persons still insist that it could not have been written by the author of "Little Women." As I much enjoyed trying to embody a shadow of my favorite poem in a story, as well as the amusement it has afforded those in the secret for some years, it is considered well to add this volume to the few romances which are offered, not as finished work by any means, but merely attempts at something graver than magazine stories or juvenile literature.